This is a fantastic cookbook! And this from a cookbook addict. 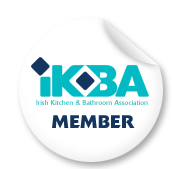 To enter please email your favourite kitchen design tip to us with The Happy Kitchen in the subject line. We will publish the winning tip here on April 30th, 2017 and also notify the winner by email. If you can’t wait that long (and why should you!?) then you can buy The Happy Kitchen here today. And maybe buy one for a friend or family member too!